That's the tip - it is a motivational one. 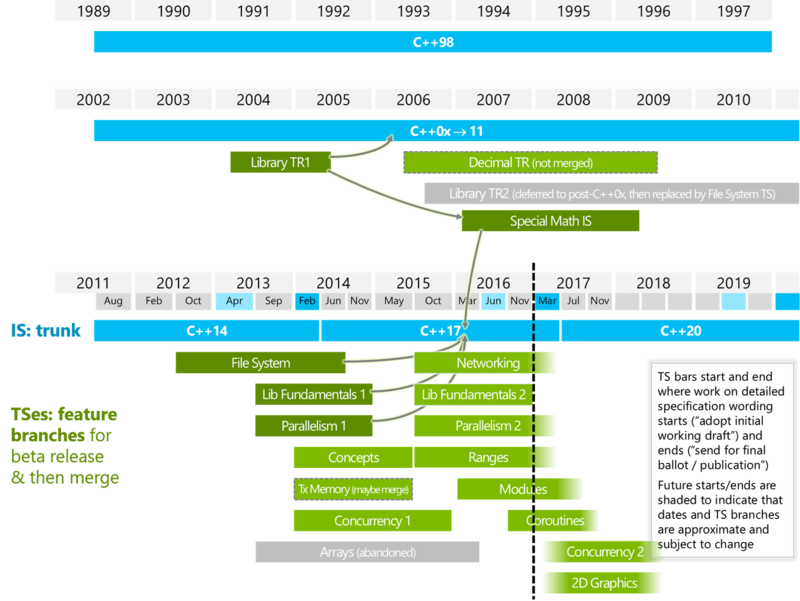 I hear so many people announcing the death of C++ and how it is in decline and it is over. Even from within our community. Yet now there are more C++ developers than ever. Yes - other languages grow faster and the share of C++ is not growing but that is OK. It should be expected - we cant use C++ for everything. It does not make any sense. Tons of new features are coming into the language! Exciting times! So, please, stop the gloom and doom. C++ is not going anywhere. Always try to make your move assignment and move constructor noexcept. The reason for this is STL is noexcept-aware and it does a lot less when it knows there will be no exception trowing during the movement of elements in the containers. For example std::vector must be able to restore the previous state if something trows during reallocation (when calling emplace_back(...) for example). Knowing that nothing will trow opens the door for optimizations. In general you should try to make as much functions noexcept as possible. This one was suggested by my friend Alexander Cheshmedjiev also C++ User Group Sofia organizer. will fail to compile with a nasty unreadable error because the second boost::bind will be evaluated before being passed to the first boost::bind. Now everything works fine and as expected. std::addressof obtains the actual address of the object or function, even in the presence of overloaded operator&. Imagine you are super paranoid that someone will constantly overload your operators. This is the way to get the pointer without worrying. Note. Its rvalue overload is deleted to prevent taking the address of const rvalues. We are able to use the the local struct Volde outside the function using auto. However if we try to use it without auto we get a compilation error. Those types are called Voldemort types and are common in D but also in C++ from C++14. You are basically forced to use them only with auto. This way the implementation details are encapsulated away from the user and you are allowed to use only the primitives. funct() can return any type and main will compile and work as long as all of the return types have a member a.